Crypto or digital currency exchange platforms are decentralized virtual meeting places or portals where buyers and sellers can exchange crypto-currencies for digital currencies at an agreed market price. This exchange platform also enables the conversion of fiat currency to crypto-currency and vice-versa. Note that fiat currency is money, that a government has declared to be legal tender like US dollar. These virtual exchanges function similar to conventional stock exchanges where people buy and sell at an agreed market price. Digital currency exchange platforms match buyers with sellers electronically. When there are many people looking to buy and many people looking to sell and everybody is buying and selling, you achieve something called price discovery. Participants benefit as true market value is obtained, based on supply and demand in a clear and efficient manner. Since crypto-currency exchanges provide an efficient environment for people to buy and sell crypto-currencies, when the transaction is completed the exchange takes a commission or the bid/ask spread, as their fee. Fees vary from exchange to exchange, so it is important to make sure that you are trading through the right exchange depending on your specific needs. Users can join a crypto-currency exchange, by going to the exchange’s website and registering. Most exchanges require a series of verification processes to authenticate their identity. After successfully completing the verification process, the user needs to transfer funds into the account. Different exchanges require different methods for deposit, which include, credit or debit cards, direct bank transfers, bank drafts, money orders and even gift cards. Traders wanting to withdraw money from their account, can do so using payment options provided for by the exchange including bank transfers, PayPal, bank or credit card transfer or cheque. It is worth noting, that some exchanges service only crypto-currencies, whereas, other trading platforms trade in both crypto-currencies and traditional government currencies. Crypto-currency exchanges are decentralized, anonymous and their architectures operate without a central controlling server. This means there is no third party or intermediary required to hold the funds of exchange for the participants in the transaction. In this decentralized exchange platform, traders transact directly and no central server is required. This also means that funds are directly controlled by the participants in the platform thus eliminating the need for third party intervention. Crypto-currency exchanges are the foundation of the crypto-currency market. Every exchangeable asset requires a market where it can be bought or sold and that is exactly what these exchanges do. They facilitate and support crypto-commerce through their service solutions. 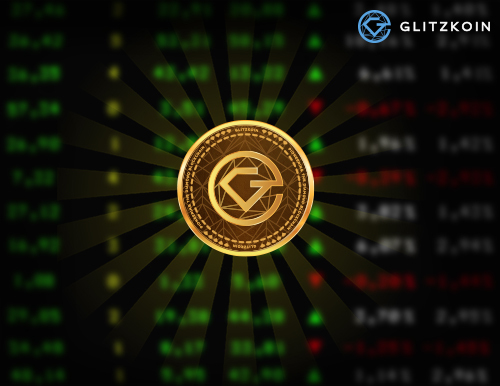 GLITZKOIN: This report is compiled by the experts at GLITZKOIN. As we move ahead with our project to develop a blockchain based diamond trading platform, we are committed to increase awareness related to blockchain and cryptocurrency.